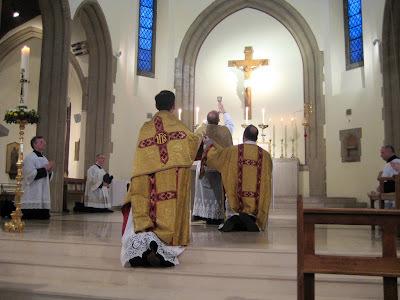 Last night I travelled into Waterloo and out again to New Malden for the celebration of the feast of St Joseph. 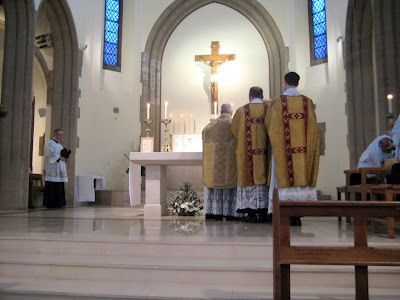 The Parish Priest, Fr Peter Edwards, generously recognises the pastoral potential of the usus antiquior, and the assistant priest, Fr Richard Whinder, is happy to arrange occasional Masses. 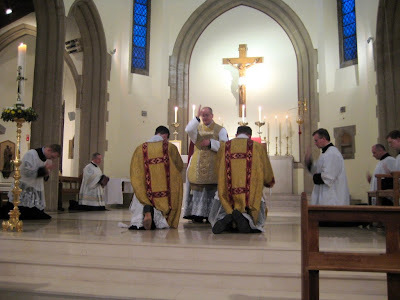 I was invited to be celebrant for the Mass with Fr Nicholas Schofield as Deacon, and Fr Richard Whinder as Subdeacon. Fr Whinder preached an excellent sermon on St Joseph.